The motorcycle market is on the increase and, as confirmed by the latest figures published by the French authorities, so it is in France! The general market has seen in increase of 2.8% in the 500cc+ category. There has been an increase of 4.8% in motorcycles but a decline of 14.5% in maxi scooters! 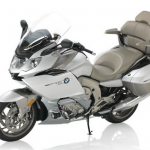 But how is BMW Motorrad France performing? 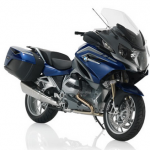 BMW Mottorad’s year record sales placed it 2nd in France, for motorcycles over 500cc sold in 2014, with an increase of 1323 new registrations over the previous year! As with regards to the electric segment, BMW is the leader, with 228 new registrations of their C Evolution! Surely a well deserved success! With the success the Nine T is doing, with 863 new registrations in 2014, it is showing that BMW is not just the usual manufacturer that builds on models based on their old ones but also come up with some innovations too! This new add-on to the family is now also attracting new customers! 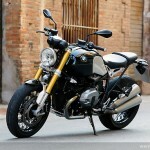 Another success BMW is presently doing is thanks to their S1000R, with 677 registrations. This came at no surprise, it was envisaged it will in fact sell around the 700 models! Roadsters are as well their new baby now and surely these sales are showing a good start! The new Liquid Cooled RT was another success, even though they had to recall all the 2164 in circulation due to the issue with their shocks! 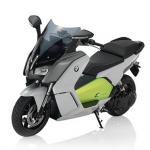 Still this remained the reference bike for the sport touring segment and remains as well BMW’s bestseller in France, even surpassing the new liquid cooled R1200GS / GSA! It was surely the worse disappointment for both BMW & the owners but BMW is happy to say that the matter has been completely sorted out and that all owners have been well taken care. They’re sure the owners are now even more proud owners of this great machine! 🙂 BMW Motorrad France is also leading the trails market, with 2098 examples sold of its GS model and 1320 of its GSA. BMW is also doing brilliantly with their luxury touring vehicle, the 6 cylinder K1600GT, GTL and GTL Exclusive, with 904 examples registered! The only disappointment BMW is seeing in France is with their C600 Sport & C650GT scooters. It’s true that the market in general went down by 14.5% but their sales are far beyond their expectations. Having said that, they’re extremely happy with the success of the electric C evolution model is doing! 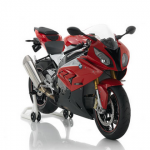 BMW Motorrad is now working on the new law that will come into force in 2016, re the 100 horse power limits, but they are envisaging that this should not in any way be of any detriment to the clients of 2015. Something BMW us surely proud of at the moment is the triple win Michael Dunlop had with the S1000RR! It’s surely a historical victory to win all the Isle of Man TT, TT Superbike and TT Superstock races! A great future lays ahead for BMW, with the main aim is mind is to continue progressing in the French market and, as a manufacture, keep investing in building on the S1000RR, F800R, S1000XR & R1200RS! BMW Motorrad France is now working on and looking forward to 2 great days where one will be able to discover and test drive the new S1000RR, F800R & the R1200R, apart from all the other models. This will happen on the 13th & 14th March! Another thing what BMW Motorrad France is looking ahead for is the participation in this year’s 24hr at Mans, the Moto GP, the WSBK at Magny Cours, Wheels and Waves, Les Coupes Moto Legende and the Cafe Racer Festival! For the amateur off-road riders, BMW France will be trying to attract all the GS owners to participate in the GS Trophy France, which will take place in Orange from the 7th till the 9th May! We’re finishing off this article with BMW Motorrad with an invitation from both BMW Motorrad France’s Director General, Marcel Driessen, & BMW Motorrad Head Office to attend another even organised purely for BMW Motorrad owners, the BMW Motorrad days in Garmisch Partenkirchen, which this year will take place from the 3rd till the 5th of July!